Conveniently located on the corner of Ustick and Maple Grove, we are centrally located for the entire Treasure Valley. Whether you are in Nampa or the North End, we're not far away! We have tools to treat a wide variety of ailments from Plantar Fasciitis, Sciatica, and Migraines to Chronic conditions of Reflux, IBS, Infertility, Thyroid Disorders, and more..."
We offer a wide range of Chiropractic Services and will tailor make a remedy to suit your needs that is practical for your lifestyle and reduce the likelyhood of symptoms coming back. What makes Dr. Noah different? You get a compassionate doctor, wanting to listen and solve the CAUSE of your health care issues. He believes each person is unique and deserves a customized approach. Massage is a great way to enhance your chiropractic treatments. Much more then calorie counting! Check your hormones and get dietary advice. Often misdiagnosed, but very treatable. Ask us how to get rid of that low back and leg pain. Make sure your whiplash doesn't haunt you 5 years later. Get treatment today! Get the same tretment Olympic Athletes use for their injuries and see why patients get better faster. Painful areas are starving for more oxygen. Learn how this regenerative therapy can help. 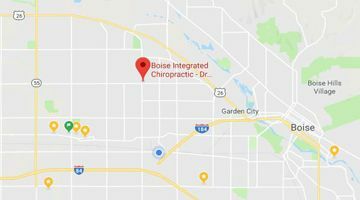 Are you hoping to find a Chiropractor in Boise? I hope you will offer me the opportunity to earn the trust of your health in my hands. Your health is important and complex, so you need a doctor who is passionate about health and also has the breadth of skills to help you. 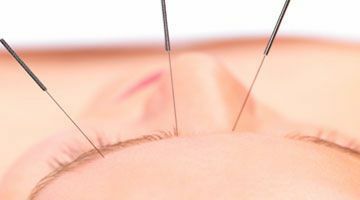 Through my continuing education beyond Chiropractic school, I have received a Naturopathic Medical Doctor degree, Fellowship status with the International Academy of Medical Acupuncture, and I have attended many seminars on thyroid, heart disease, male and female hormones, digestion, and more... This extra training will benefit you by providing you an Integrated and Holistic approach to your health condition by utilizing - chiropractic, functional medicine, acupuncture, nutrition, myofascial work, exercise rehab, and more. I find the CAUSE of your symptoms and then target that problem to bring you faster results with safe and natural approaches. Not all chiropractors in Boise are the same, so it is important you choose one that best fits your needs. If you have been to more than one chiropractor, you already know this. I may not be the right chiropractor for you, but you owe it to yourself to find out what your options are. I can tell you that you won't get a hard sales pitch to sign up for an excessively long treatment plan. You won't hear me blame all your disease processes on subluxations (a misaligned vertebra). However, You WILL see your doctor (me) for more than two minutes per visit. You will likely have your muscles and ligaments treated (not just a chiropractic adjustment and a goodbye). You will be treated like family. You will be asked questions about your lifestyle, diet, workplace ergonomics, and overall health. And, you will be expected to ask questions during your visits! Together we will explore how your posture, biomechanics, lab blood work, muscle balance, and any other indicated lab tests relate to the symptoms that are bothering you. 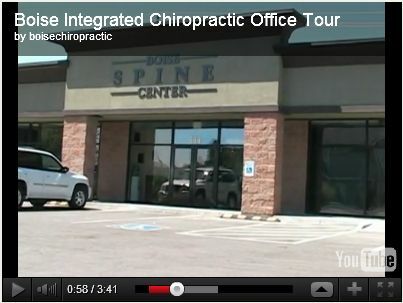 Just call (208) 629-5374 to start on the road to optimal health, or take a Tour of Boise Integrated Chiropractic. 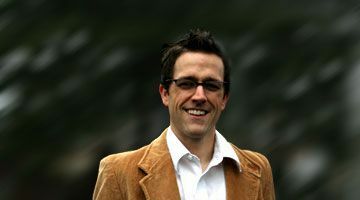 -- Dr. Noah Edvalson had his recent article published by the Idaho Press Tribune in their Total Health section. For the content of the article, please visit our blog - Choosing your Nutritional Supplements. 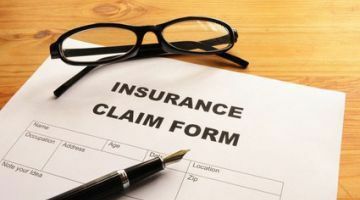 -- Another research survey concludes that patients prefer conservative management of Chiropractic, Acupuncture, and physical rehab for back pain. Watch the video interview with Dr. Ashton on Chiropractic and Acupuncture for Low Back Pain. -- CBS video suggests Chiropractic as an option for ADHD instead of potentially fatal Amphetamine drugs.